19 year old R&B singer Khalid, whose debut single “Location” is currently flying up the charts due to the assistance of one Ms. Kylie Jenner, drops an accompanying album that shows off his unique voice despite its lack of originality. Like the genre’s fellow upstart Texan Leon Bridges, Khalid’s vocals are deep, soulful and layered with what sounds like life experience beyond his years. This is interesting because the vast majority of American Teen is about just what it sounds like, being young in today’s America. However, on an album of above-average length, the lack of variation in instrumentation, tone and subjet matter begins to feel tiresome as it extends into its second half. The personnel on this album is relatively unknown for the most part and gaining more experienced collaborators on future works may assist Khalid in expanding his horizons. The only immediately recognizable name on the writing or production credits outside of Khalid himself is Joel Little, known for working extensively with New Zealand acts Lorde and Broods. His signature style of upbeat pop production with a slightly dark edge is represented on a few tracks here, attempting to bring an engagement with the musical landscape around him out of Khalid that never really comes. The Arcade, famous for work on Iggy Azalea’s The New Classic and almost nothing else, inexplicably show up on derivative R&B slow jam “Cold Blooded”. American Teen‘s more upbeat tracks are a better environment for Khalid’s voice to shine. For so many songs about youthful irresponsibility and doing stupid things, you’d think the instrumentals would be infused more often with the bright synth lines of tracks like “American Teen”, “Young Dumb & Broke” and “Winter”. Although his voice has a mature sound and serves as a strength of the album throughout, the youthfulness of the subject matter overrides this and causes it to play well off of more danceable, upbeat instrumentals. When the title track closes with an off-key drunken mob (apparently made up of Khalid’s real-life friends) shouting the chorus, it honestly works to a powerful degree because it is the vibe we expect from him. “My youth is the foundation of me!”. Khalid admirably wrote all of these songs, containing lyrical content which is frequently a little trite but occasionally breaks into great choruses that I’d expect from a fully established pop songwriter. While Khalid’s voice is frequently a high point, the slow trudge of the instrumentals and similarity of numerous tracks make it difficult to focus on the one positive aspect at times. I’d love to hear him do some features. The first two tracks are infused with an energy that never really returns as the album progresses, emulating the worst tropes of the somber and moody alt-R&B that has risen to the forefront of the culture. It is hard to remember the differences between the vast majority of these songs due to the overwhelming early-Weeknd feel which dominates the majority of R&B projects today. Abel himself might have been smart to abandon the genre he created on his recent Starboy, as it has basically gone everywhere it can go at this point. When Khalid drones “I’ll be coasting, rollercoasting through my emotions” on “Coaster”, he’s practically begging to be signed to XO. Take this line from “Winter”: “You were so quick to reject me, so I’ll take my time being sad”. It’s the same kind of barely-clever line about how bad he feels that we expect from someone like Drake. While some of these tracks are outright copies of songs like The Weeknd’s “Wicked Games”, there are others which suffer because they really should be more fun than they end up being. Part of this is because of Khalid’s delivery. “8TEEN”, one of Little’s contributions, is a song detailing the ecstatic rush of a first love set to a high-pitched synth piano and trap hi-hats. 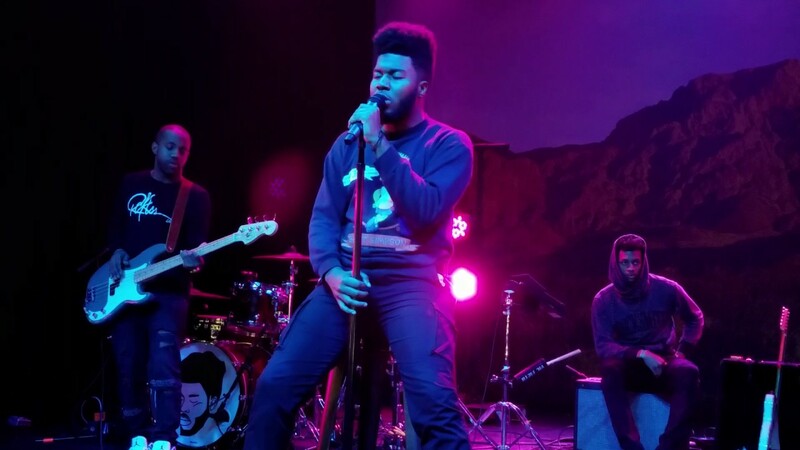 It sounds like it was curated to whip a young festival crowd into a frenzy, but Khalid’s tone hardly varies from songs where he’s meant to be in pain. To close with this one slightly ridiculous nitpick – Khalid doesn’t often articulate his Rs, which might not be so noticeable if they weren’t so essential to his choruses. “I’m pwoud to be Amewican”, “I need your thewapy”. It irks me to no end. If a young talent like Khalid was simply searching to put his foot in the door in the world of R&B, showing that he can stand beside his peers in his ability to release a complete and fully fleshed-out project, he achieved that, especially due to his heavy involvement in writing. However, some sense of innovation going forward is essential if he wants his career to continue. The Weeknd was a trailblazer. Now he is a worldwide star, and distinguishing between all of those who followed in his footsteps is getting increasingly difficult.